We've made a start with the gallery for the American Fleetwood Metal Body Company. There are currently five models enlisted and, hopefully with a little help from you, much more to come! The Fleetwood Metal Body Company was founded on April 1, 1909 by Harry C. Urich (1867-1941) with several of the principals of the Reading Body Company. After the Reading Body Company was sold to Garford, an early automobile manufacturer, a newly established team of ex-Reading workers and friends started the Fleetwood Metal Body Company to produce bodies in the E.M. Hill's former Fleetwood Planing Mill. 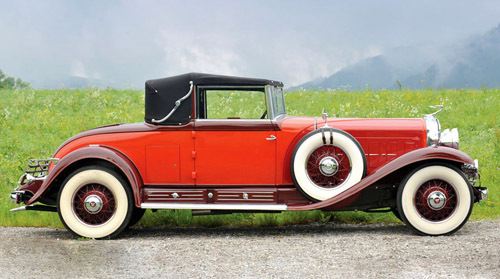 Fleetwood's quality and style soon lead to commissions from most of the major fine car makers, the vast majority from Packard. 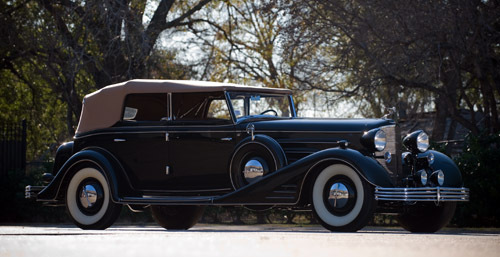 Throughout the twenties, the company continued to expand, becoming the coachbuilder of choice for Lincoln. 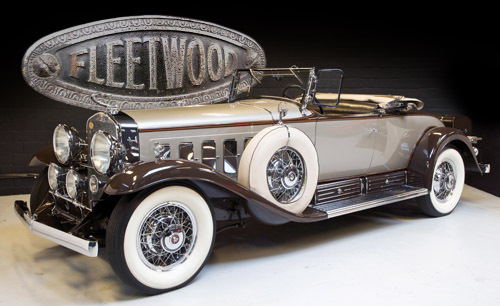 Fleetwood continued as an independent automobile body builder until acquired in 1925 by the Fisher Body Company, a division of General Motors. 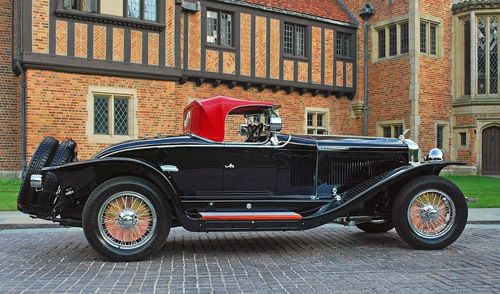 With acquisition by Fisher, coachwork for Cadillac began to assume a greater role in the company's output and eventually Fleetwood became a part of Cadillac in 1928. 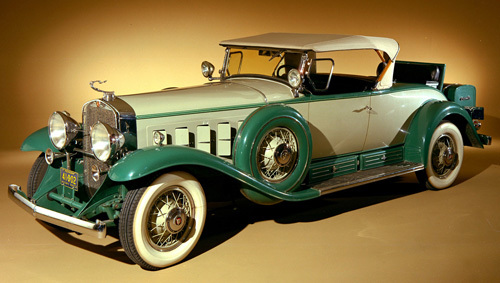 By 1929, most of Fleetwood's work was for Cadillac, and very few outside commissions were accepted. 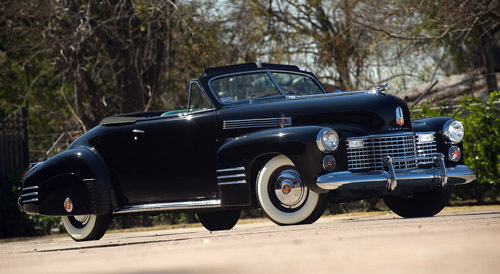 Eventually, under GM/Fisher's directives, the company also made series produced Cadillac models with the Fleetwood name. The company continued in Fleetwood until General Motors moved the entire operation to Detroit in December 1930. When the special coachbuilding tradition diminished, the Fleetwood name was used by Cadillac to designate the special top of the line trim of the Series 70 and 60 and from 1972 Cadillac reused the Fleetwood name as a model designation for their 'ordinary' series produced luxury sedans. See below the five models currently present in the Fleetwood Gallery. To enjoy even more Fleetwood cars and to provide our visitors with more information and/or pictures, please join our FORUM.